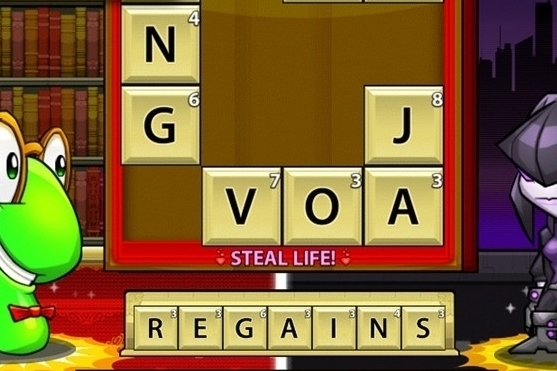 A guide to creating high-scoring words and wining more matches. 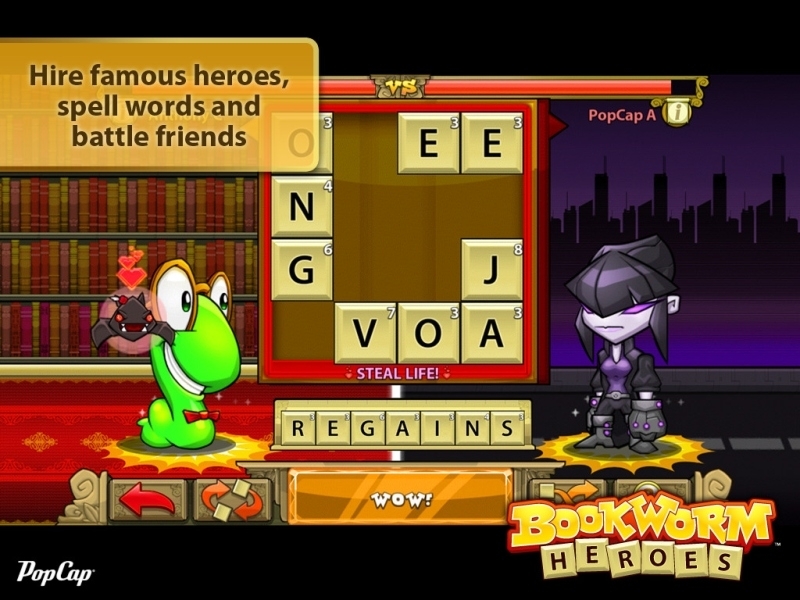 Bookworm Heroes didn't quite win us over like the original game did, but it's still a fine title that's good for killing short amounts of time. We reviewed the game earlier on today, now here are all of our useful hints and tips for creating killer words. - In an even fight, you should always make sure you're making the most of the special tiles that are available, as these can really turn the tide of battle. You can be sure your opponent will take any advantage of health top-ups in these circumstances - and so should you. Making great use of diamond tiles can really make a difference here too. - You have to play your special abilities very smartly. If you're delivering a solid thrashing to your opponent, and you feel your world-building skills are superior, don't feel you have to go after special tiles (such as health top-ups) if it means you'll miss out on dishing out an incredible word. - Everyone loses from time to time, so don't get sore at your opponent - get better for the next time. Take a look at the words they've created in the post-match round-up, how they used their upgrades, and what you played in response. Learning from other people's tactics will make you a much better player. - Most of the players online don't seem to bother with bringing additional support characters into matches due to the prohibitive silver cost. Unless you're a power player who's spending real cash on the game, we recommend doing the same - or playing with friends who agree to only use the base characters and abilities along with you. - If you want to get a one-off injection of silver cash in the game, log-in via Facebook. If you prefer not to battle friends, and would rather take on random global opponents, simply disable the log-in after you've cashed in your reward. - An easy way to extend the length of any word you create is to first look to see if you have the letters "-ING" or "-ED" on the letter tray. These are often a very easy way to spot longer words to put into play, and if you have a spare letter 'S' you should always try to pop it on the end of your creation to see if you can create a plural entry. It won't make much of a difference, but every point of damage counts in close-fought matches. - The game simply won't let you play a word that doesn't exist in its dictionary, so you should absolutely experiment and wait until you're confident you have your best-scoring word before playing it. There are no time penalties for taking your time, so don't feel you have to fire off the first word you think of.